The well-known e-commerce business allowing payments and money transfers to be made through Internet, PayPal has launched its mobile “Send Money” application for BlackBerry smartphones, which allows users to send money quickly to others around the world, as well as check their PayPal account balance and past transactions right from their BlackBerry smartphone. PayPal’s mobile “Send Money” application is now available as a free download through BlackBerry App World in Canada, USA, UK, France, Italy, Spain, Netherlands, Germany, Belgium, Luxembourg, Ireland, Portugal and Australia. 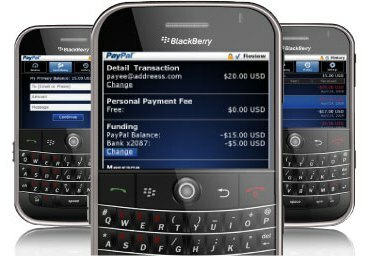 In additon to BlackBerry, the PayPal mobile app also available for Android platform and iPhone, putting PayPal in the palm of your hand while on the go.